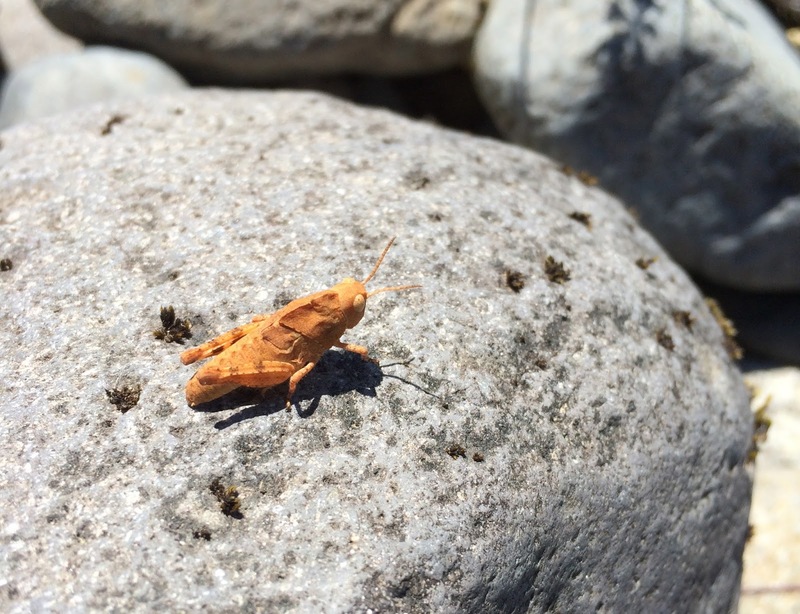 Frenchman's Bar, the Clackamas, old pygmy-owls, and other random things. It's July. I don't have a whole lot of birds to show you. Time to get random. I will be interspersing Northern Pygmy-Owls throughout this post to make it interesting. You all should check out Sondra from South Carolina's Birdathon post from last month! She joined my team, the Bloggerhead Shrikes, and had an awesome day of birds I can only dream about. Not only does she include photos of a Summer Tanager, an Anhinga, and a Yellow-crowned Night-Heron, but also a video of a gator!! Go now! Perhaps if the thrush had read this helpful information, it would not have had to spend so much time plucking snow berries for this young nuisance. Unless of course I am wrong and that is actually a young Swainson's Thrush. The Osprey nest in the river has been successful with two healthy-looking young birds in the nest. Last year I watched the same nest with two healthy-looking young birds. Unfortunately those birds did not live to adulthood because of dickwads and fishing line. Underwater there were critters that covered themselves in pine needles and critters that covered themselves in tiny rocks and sand. 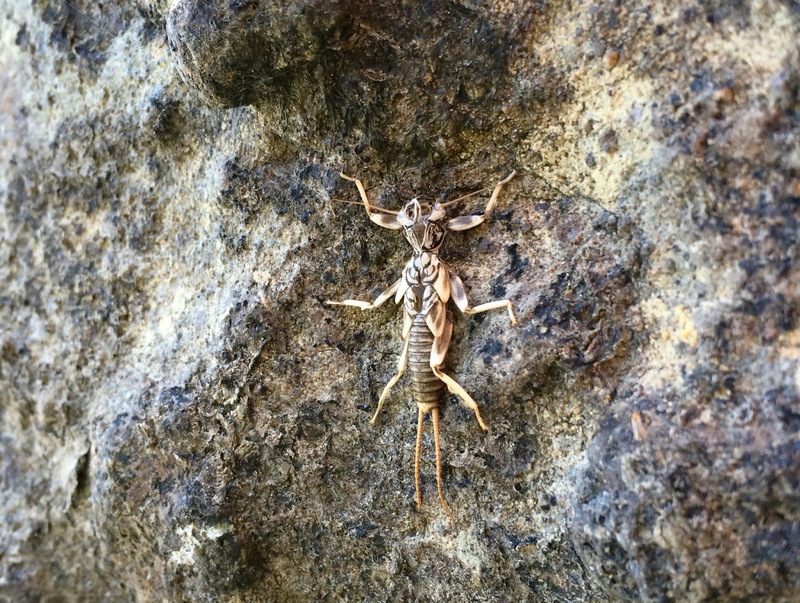 I read that stoneflies lay their eggs underwater and their nymphs are aquatic. Is this related? I know little about these critters, please share your wisdom. Two of the critters covered in rocks. This spot on the Clackamas was recommended as a more mellow spot on this fast-moving river. I've been to worse spots, danger-wise, but this was no safe swimming hole. We found spots where we could wade in and stay cool, though, and the views were lovely. Can you spot the Spotted Sandpiper? What else, what else... Oh! There's a new bird book in town! 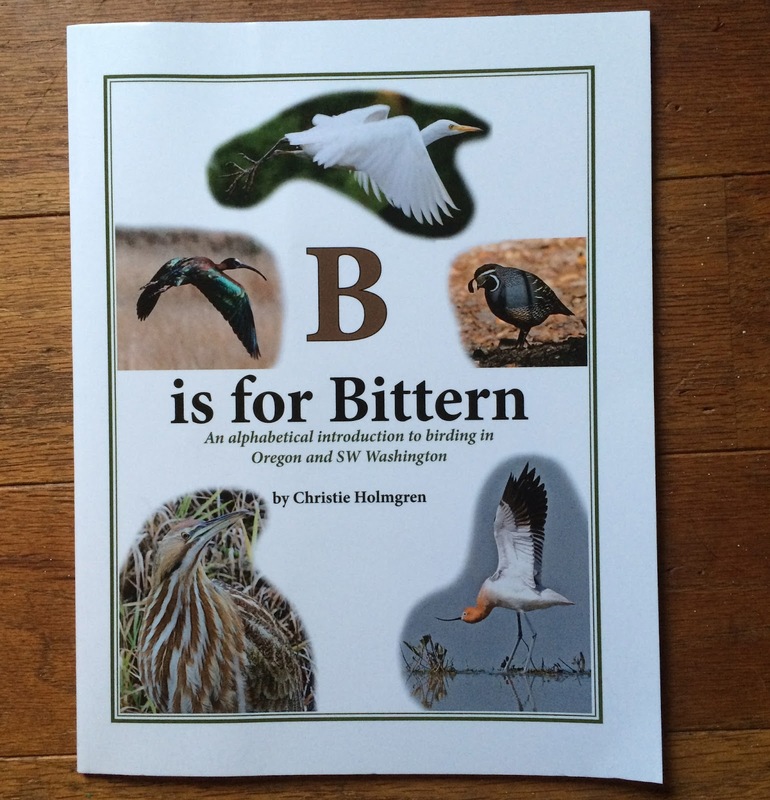 It's a fun little book, especially because it's geared towards birds in the northwest. So many kids books are filled with cardinals and Blue Jays, but here we have Steller's Jays and Varied Thrushes. The woman that put this book together founded the Friends of Force Lake and loves our local birds. If you know a kid that could use a book, I would definitely recommend this one! It can be found at Powells.com, or that other online book retailer. Ok, I think that's it. Love the owl, so cute! Lovely post Jen. I wish I had photos of Pygmy Owls barring actually Pygmy Owls) interspersed throughout my entire life. The world would be a merrier place, except for smaller birds. Do I detect the oncoming of a sister blog, "I Used to Hate Bugs"? Your unspoken guess of cowbird is correct. Caddis fly larva are a favorite of Dippers! July is tough for birding. I love the scenery you've shown us. I'd be happy with the just one Northern Pygmy Owl interspersed in my life. I love your blog name, and that header pic is one of the best I've seen.